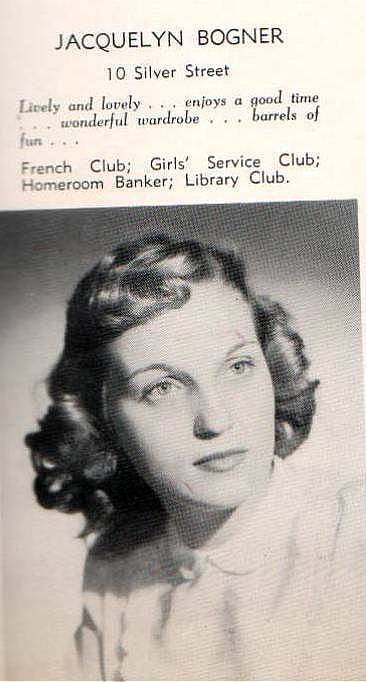 Photo from her highschool yearbook (Jacquelyn/Jacqueline?). Jackie was 16 when she graduated from West Side High School on South Orange Avenue in Newark. The school was less than two miles from her home on Silver Street.